Title: ALT-J - LIVE AT RED ROCKS NEW VINYL. Format: VINYL. We want you to be 100% happy with your order. You are also entitled to have the goods repaired or replaced if the goods fail to be of acceptable quality and the failure does not amount to a major failure. Label: Infectious Music. A3 House Of The Rising Sun (Tuka Version). Pressed on limited edition white colored vinyl. Includes digital download code. B1 Last Year (Terrace Martin Version). A1 3WW (OTG Version). 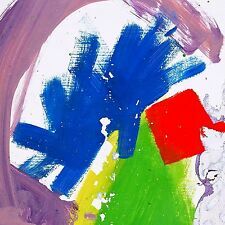 The debut album by English indie rock band Alt-J, released in 2012. Includes download code. Housed in a gatefold sleeve. Cat#:532346-1. B4 Bloodflood. B3 Fitzpleasure. B1 Matilda. Includes digital download code. Gatefold sleeve. A3 House Of The Rising Sun. B4 Pleader. B3 Last Year. B2 Adeline. B1 Deadcrush. Label: Atlantic. F ILE: 15C. JACKET Condition: VG (Light Corner Dings, Shrink Split, Hype Sticker). LABEL: Atlantic. VINYL Condition : M (Sealed). The 2nd studio album by English indie rock band Alt-J, released in 2014. Pressed on translucent colored vinyl, housed in a gatefold sleeve. Includes digital download card. Features the singles "Left Hand Free", "Hunger Of The Pine" and "Every Other Freckle". This is the Alt-J "This Is All Yours" double LP, released on Atlantic in 2014. It is sealed and it includes a download code. It is on color vinyl but I have no idea what color (it's sealed). Catalog # K.1.544594-1. Each LP set contains 2 random transparent colors of either: blue, green, yellow/orange, and red vinyl. Includes a download code. Sealed - NEW COPY. Includes two printed inner sleeves. A4 Every Other Freckle 3:36. This is the Alt-J "Relaxer" LP, released on Atlantic in 2017. It is sealed and it includes a download code. Catalog # 560179-1. ALT-J - REDUXER (LP) NEW VINYL. 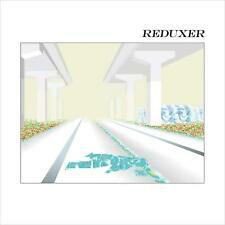 Title: ALT-J - REDUXER (LP) NEW VINYL. Format: VINYL. You are also entitled to have the goods repaired or replaced if the goods fail to be of acceptable quality and the failure does not amount to a major failure. Alt-J - Live At Red Rocks 2 LP, 75678666643 RSD Blue Vinyl w/CD & DVD. Opened but never played, in really nice condition. Shipped with USPS Media Mail. Format: VINYL. We cannot be held responsible for delays if you do not use this reference. We want you to be 100% happy with your order. You are also entitled to have the goods repaired or replaced if the goods fail to be of acceptable quality and the failure does not amount to a major failure. Title: ALT-J - THIS IS ALL YOURS NEW VINYL. Artist: THIS IS ALL YOURS. Format: VINYL. We cannot be held responsible for delays if you do not use this reference. We want you to be 100% happy with your order. Artist: ALT -J. Format: VINYL. Genre: POP / ROCK. Vinyl LP pressing. We cannot be held responsible for delays if you do not use this reference. We want you to be 100% happy with your order. You are also entitled to have the goods repaired or replaced if the goods fail to be of acceptable quality and the failure does not amount to a major failure. Title: ALT -J - THIS IS ALL YOURS NEW VINYL. Artist: ALT -J. Vinyl LP pressing. 2014 album from the enormously popular UK outfit. Format: VINYL. We cannot be held responsible for delays if you do not use this reference. Catalog #: 75678666643. Live At Red Rocks. Format: Stereo / 2 LP. LP Quantity: 2. 2 LP release. Vinyl Condition: New Sealed. Includes CD DVD. Blue color vinyl. Title: ALT-J - LIVE AT RED ROCKS (DLX) NEW VINYL. Format: VINYL. We want you to be 100% happy with your order. You are also entitled to have the goods repaired or replaced if the goods fail to be of acceptable quality and the failure does not amount to a major failure. Title: ALT-J - RELAXER NEW VINYL. Format: VINYL. You are also entitled to have the goods repaired or replaced if the goods fail to be of acceptable quality and the failure does not amount to a major failure. It is sealed and it includes a download code. Catalog # 532346-1.